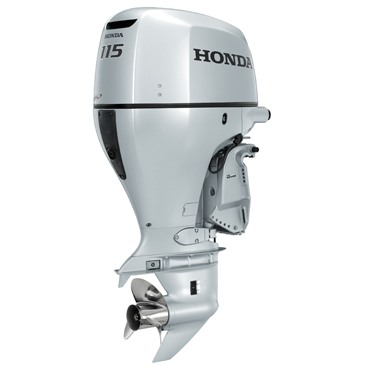 The completely-redesigned BF115 incorporates a range of Honda-exclusive technologies to deliver incredible power and superior fuel efficiency. The BF115's Dual Stage Induction offers a variable air intake manifold to deliver top performance at every speed. At low speeds, air passes through a long intake runner, increasing low-end torque. Above 3500RPM, shutter valves open to shorten the air's path, boosting air flow for more high-end torque. 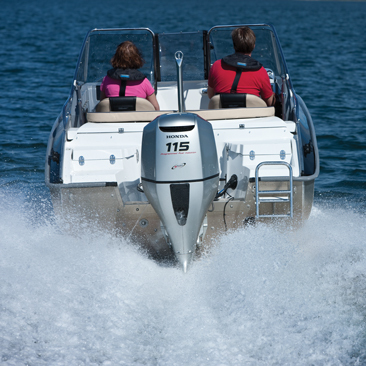 The result is a simple, compact design that delivers the awesome performance for you - no matter how fast you want to go.The engine's linear air/fuel and knock sensors help determine the correct fuel flow and ignition curve. 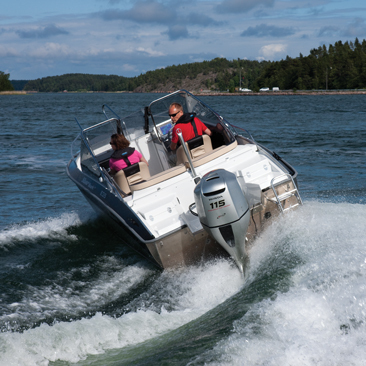 They improve the overall engine operation and efficiency while preventing engine damage.And a quick movement of the throttle control activates the BLAST™ system, advancing the ignition curve aggressively. 'Hole shot' is vastly improved as more horsepower gets the hull up on plane quicker. The BF115's ECM receives constant input from 18 different sensors to deliver instant starts, smooth operation, strong performance and excellent fuel efficiency. With Honda's Engine Alert System, it also monitors vital engine functions and prevents engine damage by alerting you of overheating, low oil PSI, over-rev, water in fuel, battery condition, and critical engine functions. And three separate cooling systems keep the cylinder head cooler for more long?term durability. Honda's proven 'on demand', 51amp belt-driven alternator reduces heat buildup and provides superior battery charging capability. Offering 30amp at 1000RPM and 40amp+ above 2000RPM, there's plenty of juice on board!A powerful, compact 24-valve DOHC design creates more valve lift to pull in more air for increased horsepower. The low-maintenance design of the BF115 allows easy adjustment of the rocker arms. 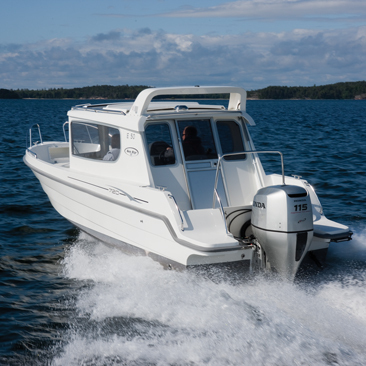 No multiple shims or trial-and-error adjusting needed.Of course, being a Honda high-horsepower, the BF115 can communicate with onboard electronics to deliver a widerange of information to head-unit displays, with its NMEA2000 Compatibility.